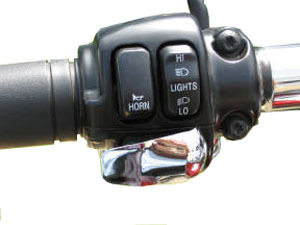 Makes turn signal actuation simple! 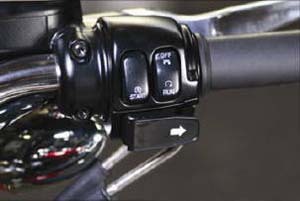 Makes turn signal actuation simple for riders with small hands - even while manipulating clutch or brake controls. 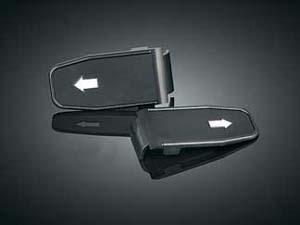 Available in black, black pearl or chrome. 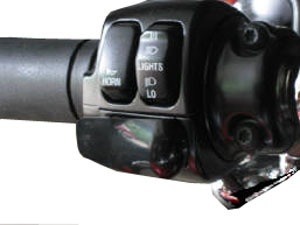 Simple peel-and-stick installation. Also new curved and stealthier styles available. Sold in paris. 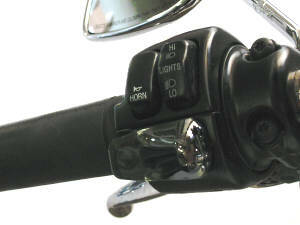 The new black pearl gives a dark metallic look....some refer to as black chrome.